First - thanks for clicking on this link. 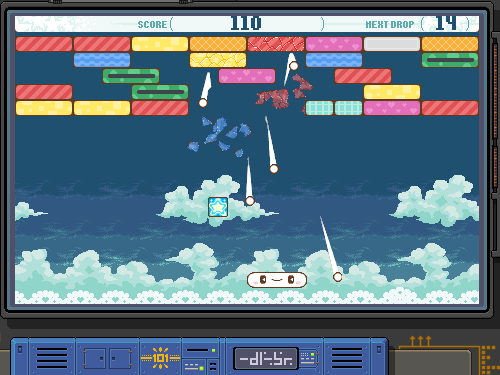 This devlog will be about the Zazmo Arcade Pack (ZAP), the latest game from your friends at the Donley Time Foundation. 2018.02.24 Update - Zazmo Weekend Update, video and more! 2018.01.06 Update - Starting Development Now! Join us on another adventure as we track the development of this game with you along for the ride. Some WIP screenshots of the games we will be adding into the Arcade Pack. Last Stand Screenshots Coming Soon! YES! We have your control needs covered with support for XBox, Playstation AND keyboard configuration! Thanks again for checking in with us! As always - remember to LIVE YOUR DREAMS! PS you can see our latest and greatest release right now! It's Boss 101 and it is out on Steam Right now! Re: 2018.01.06 Zazmo Arcade Pack - Starting Development Now! Hello and welcome to the first devblog post for the ZAZMO ARCADE PACK or ZAP from the fine folks at the Donley Time Foundation. You may or may not be familiar with our previous release Boss 101 but for those of you who are you might notice some familiar themes in this game. So, while we are gearing up for Boss 102 we wanted to do a little something fun and share our love of arcade style games with you. 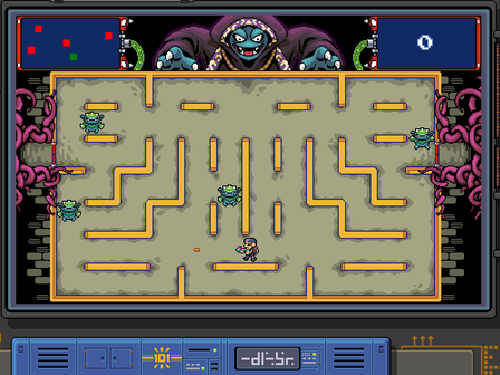 To that end, the Zazmo Arcade pack takes themes and game ideas we had for Boss 101, revises them and EXPANDS on them. While they may look familiar to you we are working to add value and most of all fun for you and a friend! That’s right folks – this is not only about you but you and a friend! 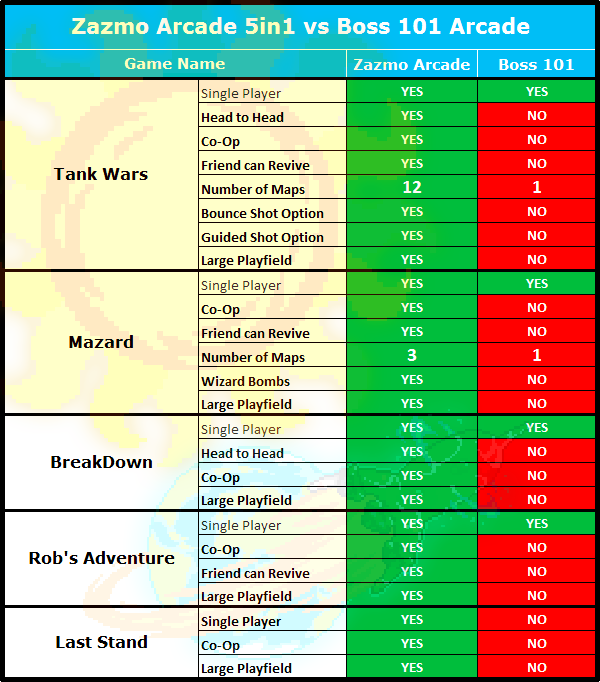 All the games in the Zazmo Arcade Pack will have both co-op and single player variations. Additionally we will have a head to head version of our game Breakdown. Mazard will be also getting a co-op version! Breakdown gets a co-op AND head to head version! The idea behind the pack is to take an idea we already have, that we know is fun and works and then expand on it. We looked at Boss 101 and the arcade game inside it were something we always loved. It wasn’t a hard decision to consider those for a separate game and some added features. Well folks, we are getting rolling fresh in the new year. As you can see below we are just getting going. Mostly at this point we are bring over assets into the new game build and started the process of adjusting the placement of art. Gameplay is being introduced too and we are looking to drop in the two player components sooner than later. Oh man- here we go! Here we have the first porting of the old art assets into the new build. As you can see there is a little re-jiggering to do. The old logo will be replaced and the new one will be dropped in. The overall formatting will stay the same. This is a shot of Breakdown DX at its new size. Again - we are going to be adjusting the art a bit and adding in the two player option. This is where it all starts though! Though we are just starting we imagine this to be a rapid development situation. The idea here is we make a fun game, pack it with a ton of features and put it out there for you to enjoy. We expect to be able to hand out prototypes and early builds soon so drop us a line if you are interested. Ok - that's a wrap for our first post! Thanks for joining us and remember to always – LIVE YOUR DREAMS! Please check it out if you would be so kind! Which platform(s) will you target? PC I guess? Thanks so much and yep, PC at the moment but we are also looking at a consoles too! We want it on as many platforms as possible! May I ask, which technology/engine you are using? Of course, we are using GameMaker Studio 1! Joshua and I playing some co-op tank battle. Joshua also likes to die... a lot. HAAAAAAAA!!! And as always - live your dreams! Please wishlist us on the Steam Store if you would be so kind! Check it out here and talk with you soon! 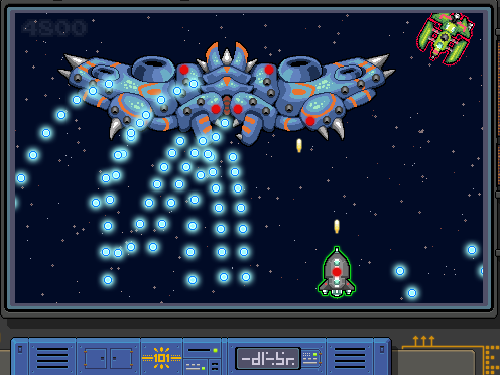 Let’s start with a refresher – you get FIVE games for one price with the Zazmo arcade. Yep, FIVE games and each has multiple gameplay options for you to enjoy. Today we’re going to cover THREE of the five so hang on to your hats – here we go! Breakdown is a classic. We have both head to head play as well as co-op and single player. This week we did a lot of tweaking to the play modes to make this thing fun and frenetic. The result, well you can see for yourself here. Check out the head to head craziness as Cloud Paddle goes to battle with Green Duck Paddle! Look at the action. Did you know the better you do the MORE BLOCKS drop on your opponent? That’s right! If you start jamming you can drop up to ten extra rows on their side. BRUTAL! Of course if you are in a friendly mood you can check out this WIP gameplay of the Co-op mode for Breakdown. In this one you can team up with a friend for maximum buddy action. See how far you both can get! The return of a legendary game! In Last Stand you battle alone or with a friend to save your precious crystal hoard. Watch out for thieves coming in and hauling your goods away. You have unlimited ships but limited crystals. When the crystal are gone your game is over. Here we have two players putting the beat down on some bandits. Sadly they lose a crystal! Ok, we all know about classic arcade and console tank games. You know why they are classic? Because they are REALLY GOOD! The Zazmo Arcade Pack brings back classic head to head tank combat and adds in co-op and single player modes for your entertainment. Check out these WIP gameplay shots. Here we have two buddies battling the red tank army. You will notice friends can revive each other in the co-op game. If your buddy is down you can keep hope alive by heading over to his tank and bringing him back in the action! When all the co-op time is up you can always head into the combat arena and duke it out face to face! YEAH BUDDY! You see how we are!?!?! These are only three of the five games too! Hang in there for more updates coming in the next week! We’ll be showing you all of the games! Steam Store page is open for YOUR wish listing! 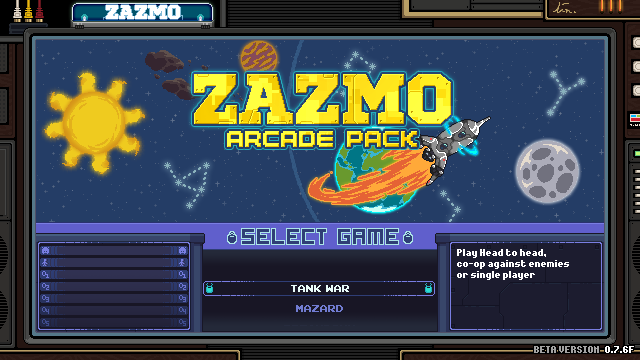 You won’t have to wait long – we would like the Zazmo Arcade Pack to be out soon. Soon like a month or two! SOONER IF WE CAN! Thank you for your support! As always – remember to live your dreams! Not only are you getting five games in one but all games have multiple modes, a few have multiple maps! Check out these sweet Mazard maps. Re: 2018.01.19 Live Stream of the Arcade Pack Today! Check out our Zazmo Arcade Pack and Savage, Shard of Gosen with @toborprime live stream today at 5pm Central Standard (US). Prizes, comedy and more all for you! See you then and remember to live your dreams! Re: 2018.01.20 Zazmo Arcade, BETA signup, live play and more! Hello and welcome to the latest Zazmo Arcade Pack update! Let’s get rolling with today’s update since it’s all show and tell for you! We got in main artwork for the title screen and started work on the game menu system. As you can see we’re keeping the theming we used in Boss 101. We did expand on the look but I think you might like the new game selection bit as one of the better parts! The whole idea is to give you something to access the games and options you want quickly. You can see here from the WIP shots we allow you to select your game and option with simple scroll and select motions. 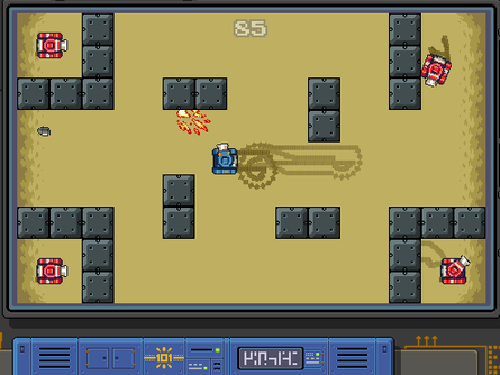 Tank Wars has an option to allow breakable walls when playing head to head! No more sneaking around! The better you do in Breakdown the more you charge the ‘drop bar’. What this does is allow you to drop more brick layers on your opponent to, ahem, roughen up their day. Haha. Watch this ten level drop happening when the drop counter hits zero. Here’s just one of the three new maps for Mazard. All maps are for co-op or single player use! Friday night we sat down with Toborprime and had a long session of Zazmo Arcade gaming. You can check that out here and we recommend you do! You’ll get a first hand look at all the games in the arcade pack as they are meant to be played! Ok – more to come and talk with you soon. Remember to check out our Twitter for news and announcements about live streams and contests! We want you to be part of this development! 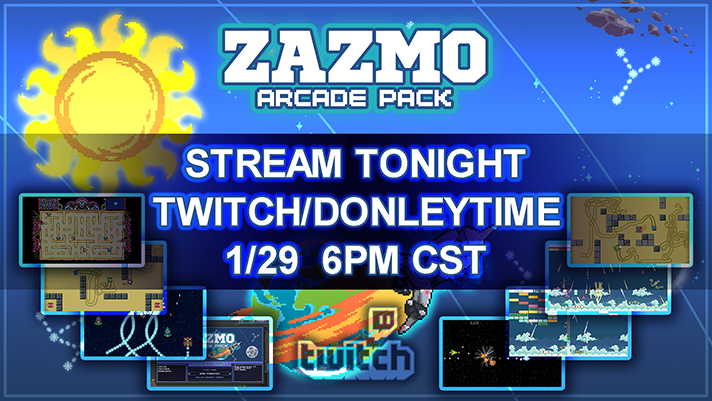 Join us on Twitch tonight at 6pm CST for Zazmo Arcade action! We've been adding new features to all our games. Check out GUIDED shots on Tank Wars! YEAH BUDDY!! Should be a blast and hope to see you there! Here's the latest gameplay and development stream for our latest game! Forgive the low sound issues, we're working on a new audio setup as we speak. More to come and this Thursday we will be doing a longer play looking at more features! We had a few questions about what EXACTLY does the ZAP collection have compared to the similar games inside Boss 101. Generally speaking... a lot more! Mulitplayer, larger playing fields and tons more options are only a few. Check out the chart below for a highlight breakdown. Look for another live stream this coming Thursday and remember to LIVE YOUR DREAMS! Join us on Twitch tonight at 6pm CST for Zazmo Arcade action! We've been adding new features to all our games. YEAH BUDDY!! More to come and this Monday (1/29) so join us then if you can! Keyboards and Joysticks.. oh YEAH! Check it out folks! Looks whats coming! 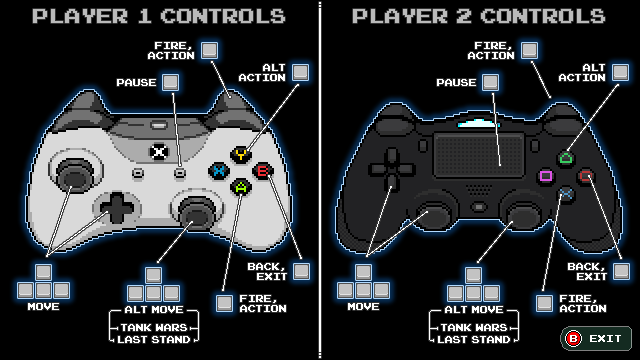 A controller guide and keyboard configuration. We already support the controllers but we will be adding in the keyboard configuration ability this weekend. We have your various controller needs covered. Currently we support XBox, Playstation 4 style AND we allow keyboard configuration to what YOU want! Yeah buddy! Either player can use a keyboard or controller - YOU DECIDE! Welcome to the latest ZAP update and thank you for joining us! A lot of show and some tell for you this week so let’s get rolling! Yes, we have it! Check out the latest, we have keyboard configuration for BOTH players and support for Xbox as well as PlayStation type controllers. You wanted it YOU GOT IT. We also added a little disclaimer at the start of game load to tell you and all our friends that a controller is recommended. Come on folks – keyboard is still there but try it with a controller if you would be so kind! Your choice though and we let you do both. Bounce shots are now in and you can select the amount of bounce. Check out some samples of bounce testing..
Richocet Shots are in too! YEEEEEEEESSSS!!!! This is one of my personal favs! You can guide your shots! Sitting still in Mazard?!?! NO MORE! You will have to keep moving while playing Mazard. This is s shot of the bomb and the current temp art for the flames. Note that the flames DO KILL enemies so there might be some useful strategy for people! We did a lot of work on the menu’s this week and MAN – you gotta see the latest. Check out the sweet intro menu with the new game and option selection. Come on folks – that is COOL! HAAAAAAAA!!! How’s the game coming along you ask? Well, look at the gameplay session from last Thursday! SEE FOR YOURSELF! Ok – lots of work this week and more to come. Drop by the Zazmo store and if you are feeling froggy why don’t you sign up the ZAP Beta and check out the game yourself?!? Talk with you soon everybody and remember to LIVE YOUR DREAMS!